Unless you’re a food truck owner with super human powers and can do everything on your own, chances are you have employees to help you run your business. This means you’re now an inductee of the wonderful world of worker’s compensation (WC) insurance – and not necessarily by choice. The fact is, as a business owner, most states (with very few exceptions) will require that you purchase worker’s compensation insurance if you have employees. But for many food truck owners, WC insurance is a mystery. What is it? Why do you need it? How does it protect you—and your staff? In this installment of our Food Truck 101 Owner’s Insurance Guide, we’ll help you better understand what WC covers and how as an employer you can protect yourself against fines by staying in compliance. Worker’s compensation insurance covers the medical and rehabilitation costs of your employees if they’re injured while working on the job (it also covers some lost wages). Having this insurance essentially means that your employees give up their right to sue your business for negligence—and in turn, they get peace of mind knowing they can recover for work-related injuries without the worry of medical bills, lost wages, and the complexity of a lawsuit. For starters, almost every state requires it. And since specific insurance requirements vary from state to state, it’s your job as an employer to review your state’s guidelines and become familiar with the WC laws. Not being in compliance means your food truck business will be subject to fines and state-levied penalties that can be expensive. You need WC to protect your business against employee work related accident claims. You also need it to provide your employees who are working around hot stoves, deep fryers, and sharp objects, the medical attention they’ll need in the event of an injury or accident. In most states, you need to have WC insurance as soon as you have one or more employees who are not considered a business owner or partner. In other words, you aren’t required to carry WC on yourself, but must carry it even if you have only one employee. For workers’ compensation purposes, an employee by definition can include day labor, leased and borrowed staff, volunteers, part-timers, most subcontractors, and yes – even family members. So if you have a family member helping you out at a large event (even for just a day) or a friend running out to the store for supplies on behalf of the business, you’ll need to carry some type of coverage. Again, check with your state’s laws. Worker’s Compensation rates are based on a classification (the type of risk), and then multiplied by 1% per $100 of an employee’s gross payroll. So for example, an employee who handles your bookkeeping and payroll from an office will be classified (and rated) differently than someone who is cooking with a deep fat fryer. Another factor in determining your WC rates is your business’ history of providing a safe work environment. For example, your premiums may be increased or decreased based on your number of work related claims. In other words, it pays to try and reduce employee related claims. How can I better manage my rates? No matter how careful you are accidents happen. When they do, you’ll be glad you have the WC insurance to stay in compliance with state laws, and to protect your business and the great employees who work for you. 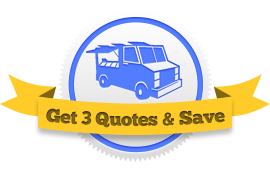 At Food Truck Insurance HQ we make it easy for your business to get the WC insurance you need, along with other important coverages, all in one place.